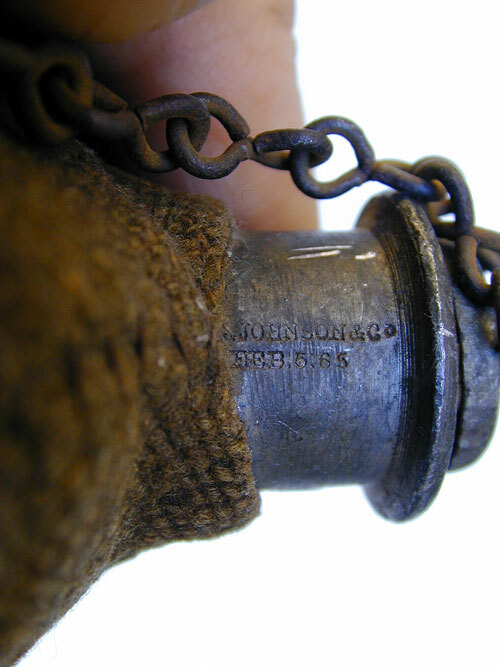 his model 1858 smoothside canteen was made under contract by ?. Johnson & Co, Feb 5,65. Although a late dated contract this was made for the War Effort. 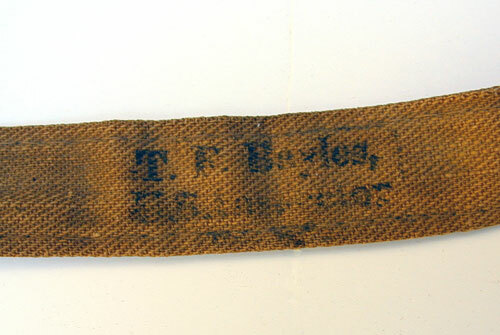 The original strap is inspected by T. Bayles, U.S. Inspector. 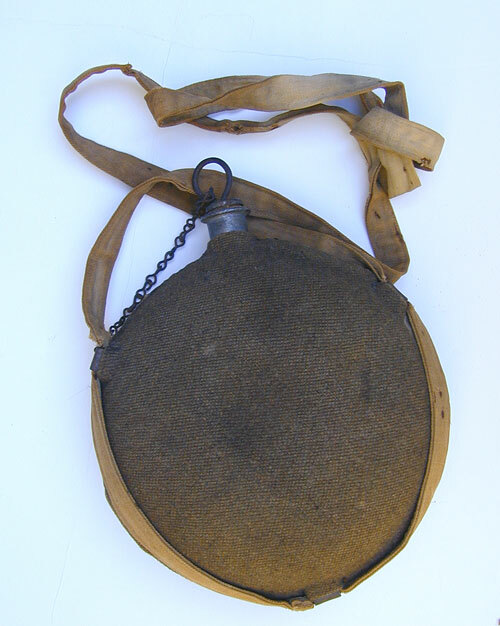 The canteen retains it's original brown "blanket' type wool cover strap and chain with cork stopper. There is a stencil on one side that looks like "Burnside" over 1862 with illegible writing below this. 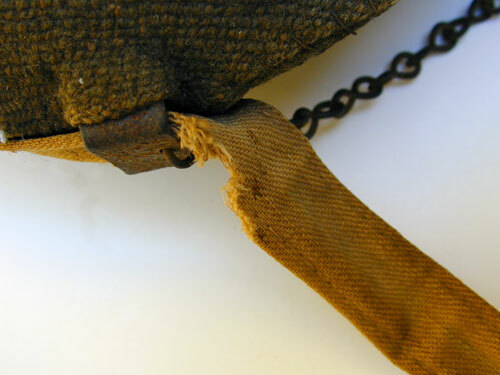 There is some fraying of the strap at the two upper metal loops and on dent on one side. 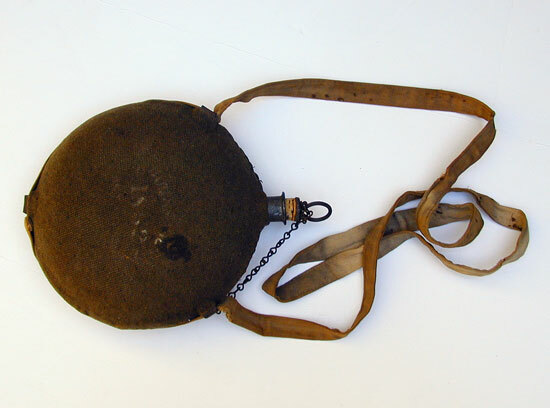 A nice Civil War Canteen.